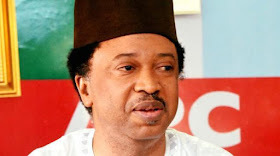 Senator Ben Murray Bruce Senator Shehu Sani, the Kaduna Central Senator, has revealed to the All Progressive Congress, APC. PoliticsNGR reported earlier in the ruling party on Saturday after disagreements with the party hierarchy over the senatorial primaries in Kaduna. "Dear Shehu Sani, APC never intended to give you their ticket. The game was on the ticket for you in the APC until it was ready for substitute names at INEC. "